Please select a size. 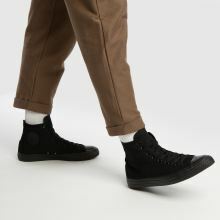 view smaller sizesUK 7 - In StockUK 7.5 - In StockUK 8 - In StockUK 8.5 - In StockUK 9 - In StockUK 9.5 - In StockUK 10 - In StockUK 10.5 - In StockUK 11 - In StockUK 11.5 - In StockUK 12 - In StockUK 13 - In Stock Please select a size. 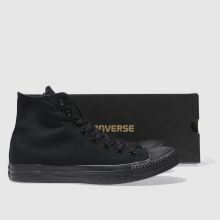 Converse go back to basics with their Mono Collection, letting the silhouette do all the talking. 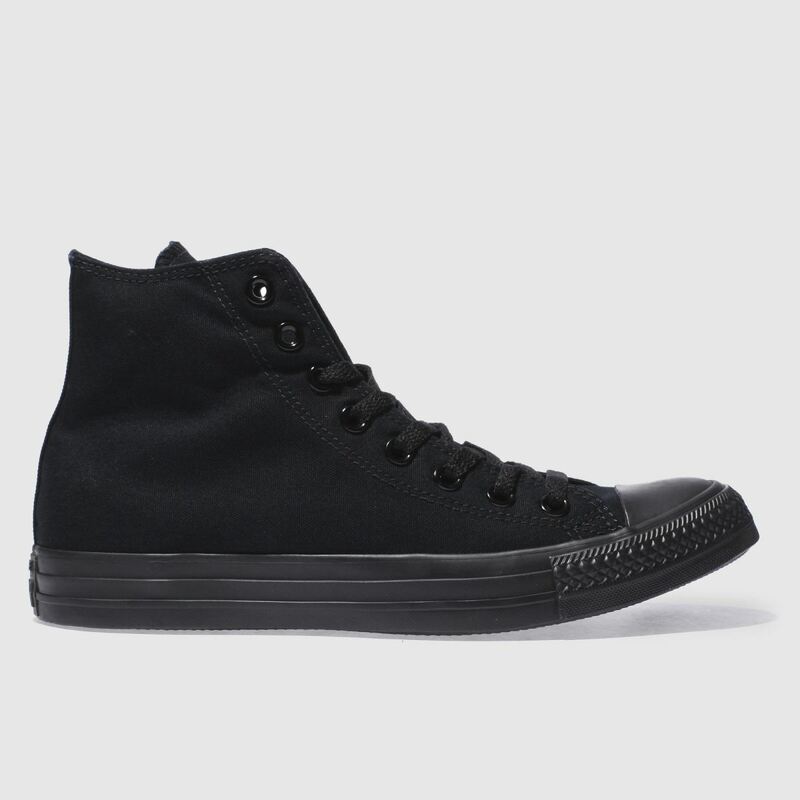 The All Star Hi arrives dressed from top to toe in black with the Chuck Taylor ankle patch. 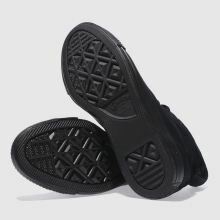 A vulcanised sole unit and iconic toecap finish the silhouette.